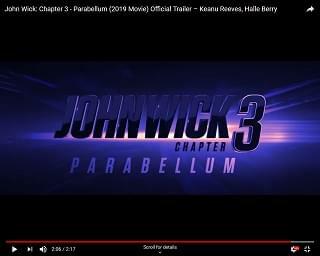 The latest trailer for John Wick: Chapter 3 – Parabellum is here, and it looks like Keanu Reeves’ character of few words is going to have to go and kill everyone in sight again. He’s being hunted for “breaking the rules,” and teams up with Halle Berry. When asked why he’s doing “all of this because of a puppy,” Wick answers, “it wasn’t just a puppy.” The movie hits theaters on May 17th.